The purpose of this statement is to provide transparent and accurate details to users regarding the collection and use of personal data gathered from users while on our website. Contact Information. Contact Information allows FI GROW to communicate with you. Examples of Contact Information include, but are not limited to, your name, email address, or phone number. FI GROW may also request demographic contact information including your job title, job function, and company name. Transaction Information. FI GROW automatically receives and records some information from your browser when you visit the site, such as your IP address, cookies and data about which pages you visit on the site through the use of log files provided by our third-party tracking-utility partners. Posted Information. If you chose to post a comment on FI GROW's blog, FI GROW may collect information regarding your name and the content of your post. It is important to note that any content you post on the blog is publicly displayed and will be seen by other users of the Site. Form Capture. 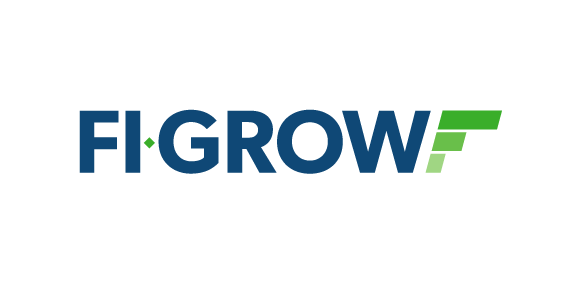 If you are prompted to provide Personal Information (including Contact Information) when you use the FI GROW site via a form filled and submitted by you, we will record all submitted data. If and when you contact FI GROW via telephone, email, or other methods of communication those interactions will often be noted. Given Consent. Users have given their consent for one or more specific purposes to allow personal data to be processed. Legitimate Interest. The legitimate interest of FI GROW in conducting and managing its business is to enable it to give you the best service/product and the most optimized and secure interaction. FI GROW makes sure to weigh any potential impact on you (both positive and negative) and your rights before processing your Personal Information for its legitimate interest. Unless FI GROW has your consent or is otherwise required or permitted to by law, it will not use your Personal Information for activities where the impact on you overrides FI GROW's legitimate interests. FI GROW will sometimes use Personal Information to enhance a user's experience, and customize offers, blog topics, or posts that may be of interest to a user. - Working with companies and service providers (i.e. HubSpot, Quickbooks, PandaDoc, or other companies that process billing, website hosting, or analytics performance in furtherance of the purposes described in Section 4 (“How FI GROW Uses Personal Information”) above. - Protecting the rights, property or safety of others, investigate fraud, respond to a government request. - FI GROW believes in good faith that it must disclose such information to commence an investigation or take action regarding illegal activities or suspected fraud. - FI GROW believes in good faith that it must disclose such information per auditing, compliance, and corporate governance functions. - FI GROW believes in good faith that it must disclose such information, or advised to do so by law, such as in response to a subpoena, or similar legal process, including to law enforcement agencies, regulators, and courts in the United States and other countries where we operate. - FI GROW will not sell your Personal Information to third parties unless in the process of entering into a merger with another business, acquisition of another business, or the sale of all or a portion of FI GROW's assets and the information is needed to support the sale or transfer of business assets. This Privacy Statement only governs when and why FI GROW discloses Personal Information. This Privacy Statement does not apply to the practices of third parties or individuals that FI GROW does not employ or manage. The use of your Personal Information by third parties that you access through the Site is governed by the privacy policies of such parties and is not subject to FI GROW's control. Personal Data shall be processed and stored for as long as required by the purpose they have been collected for (see section 3 (Legal Basis to Process Data) above. Once the retention period and/need expires, Personal Data shall be deleted. Therefore, the right to access, the right to erasure, the right to rectification and the right to data portability cannot be enforced after expiration of the retention period. FI GROW strives to use commercially acceptable means to protect your Personal Information, however, no method of transmission over the Internet, or method of electronic storage, is 100% secure and therefore FI GROW cannot guarantee absolute security of your personal information. Personal data is stored within the HubSpot CRM system and their security details are found on their website security page. Right to withdraw or adjust consent or request data at any time. Users have the right to withdraw consent where they have previously given their consent to the processing of Personal Data. Users have the right, under certain circumstances, to request date be erased by FI GROW. Users also have the right to request access to Personal Information (commonly known as a "data subject access request"). This enables you to receive a copy of the Personal Information FI GROW holds about you and to check that FI GROW is lawfully processing it. To make any of the requests above simply contact FI GROW with the details of your request.